Spring cleaning is in full swing around here. But why stop at your house? 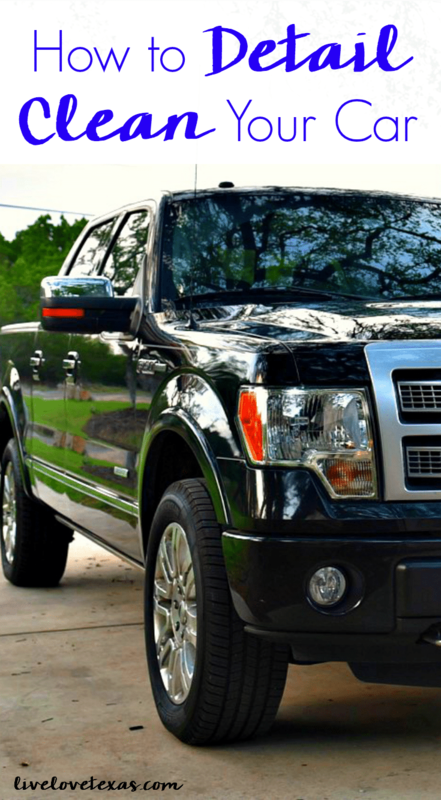 Learn How to Detail Clean Your Car in 5 Easy Steps and get it ready for the warm months ahead! If you think about it, your car is an extension of your home. When you’re not at home, it’s your personal safe space that helps you get around in your daily life. Even though our cars should be an extension of our home, we don’t always treat it with the same respect we treat our house. We leave dishes, trash, and wrapper laying about. Not to mention all of the random sweatshirts, shoes, and other junk that goes with us every day. And that’s just on the inside. The outside is probably even more neglected because we’re all primed with excuses on why we can’t wash it. It’s too hot, it’s too cold, it just rained, it might rain, we have water restrictions, and one of my personal favorites is there’s too much pollen everywhere. You see in Texas we have two falls. We have the fall in autumn that everyone else has and then we have a second fall in spring. This is when the oak trees shed their leaves and pollen is everywhere. Seriously. Everywhere. 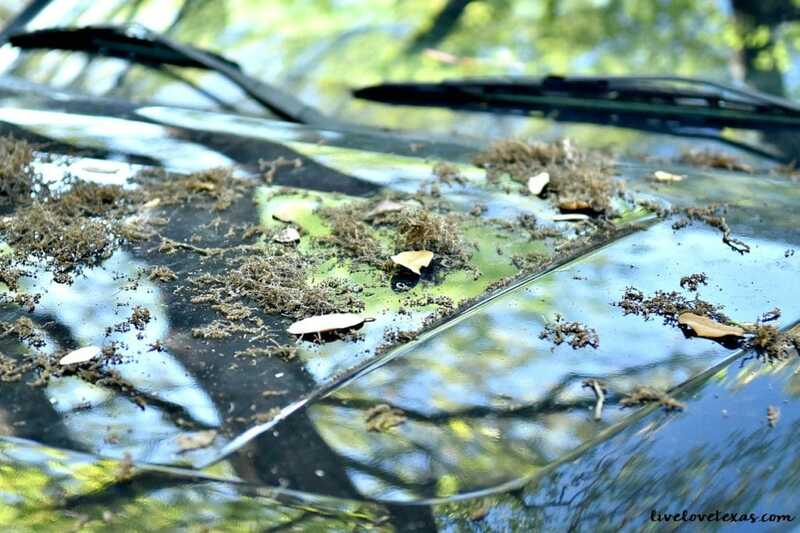 There’s a thick coat of pollen attached to any and every surface including the inside of your sinuses and the outside of your car. Now that our second fall (or is it first fall?) is behind us, there’s no excuse to not get our car in shape for spring! Did I say car? Well this is for all of y’all driving SUVs and trucks (like me) too! Even better the whole family can get involved and learn how to detail clean your car! 1. Wash your car. If you’ve ever washed your car with kids, you know how impossible it can seem to get the job done without a huge mess. Skip the hose and bucket and use the new Armor All Ultra Shine Wash Wipes instead! 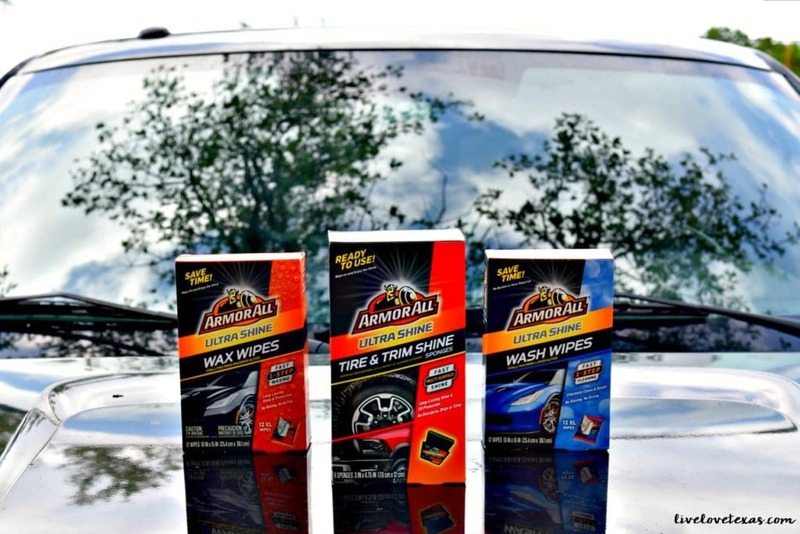 These wipes are pre-moistened and treated to make cleaning your car easy and picking up even easier because you won’t have buckets to drain or hoses to pick up. 2. Wax your car. The dreaded waxing phase. 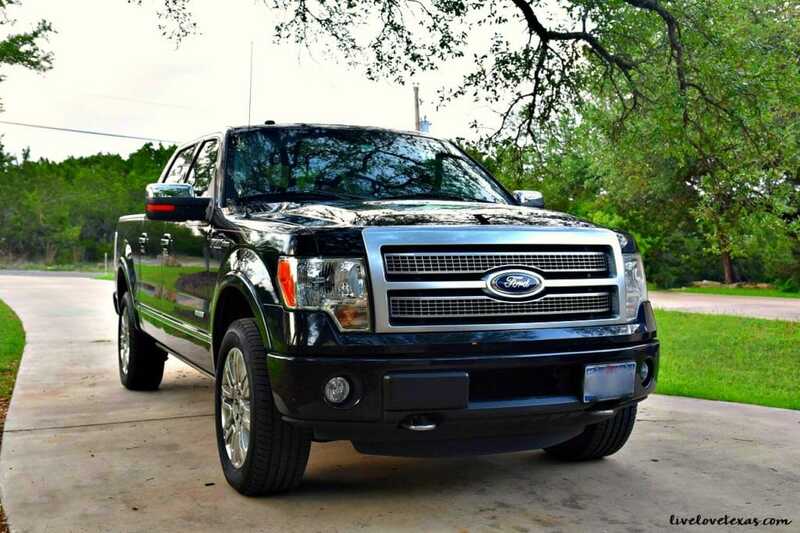 Any car lover can relate to the hassles of buffing your car. Again, Armor All has you covered with their new Ultra Shine Wax Wipes. 3. Clean your tires. 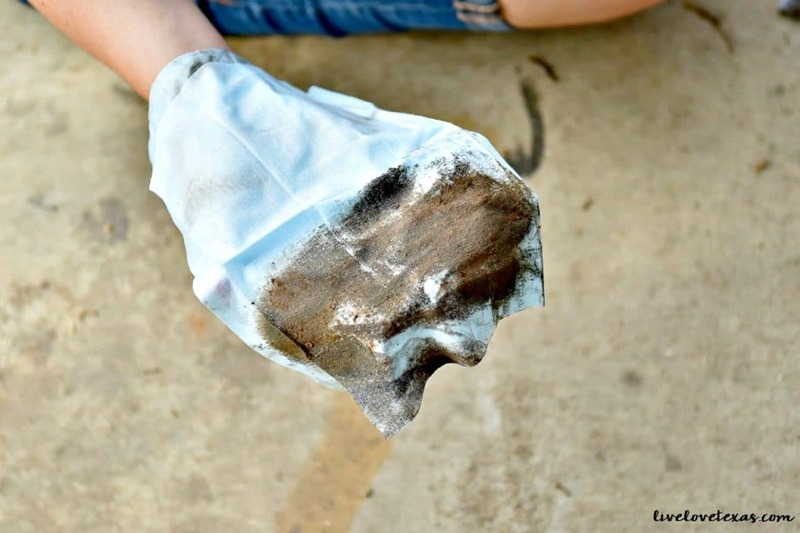 This often forgotten step can leave your car looking less than completely clean. 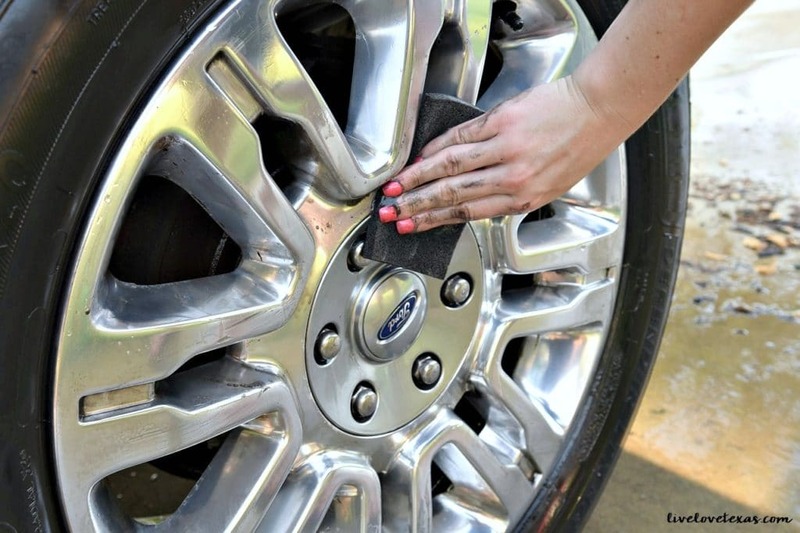 Armor All knows there are lots of nooks and crannies on your tires where dirt can hide so they’ve designed these new Ultra Shine Tire & Trim Shine Sponges to get where other products can’t. 4. Clean interior. First, take all of the things that don’t belong in your car and have somehow made their way into or have never let, out of your car and into the house. Or at the very least, the garage. As you can tell from above, I’m a sucker for Armor All wipes. I have the leather, glass, and protectant wipes so I can have the girls clean with products specifically designed for each surface. With cleaning the interior of the car with kids, it’s so helpful not needing to use a spray or aerosol. Less mess and smell. 5. Vacuum the interior. Using the brush attachment, vacuum out the interior of your car getting in the hidden spots at the back of the seats and especially in the floorboard. 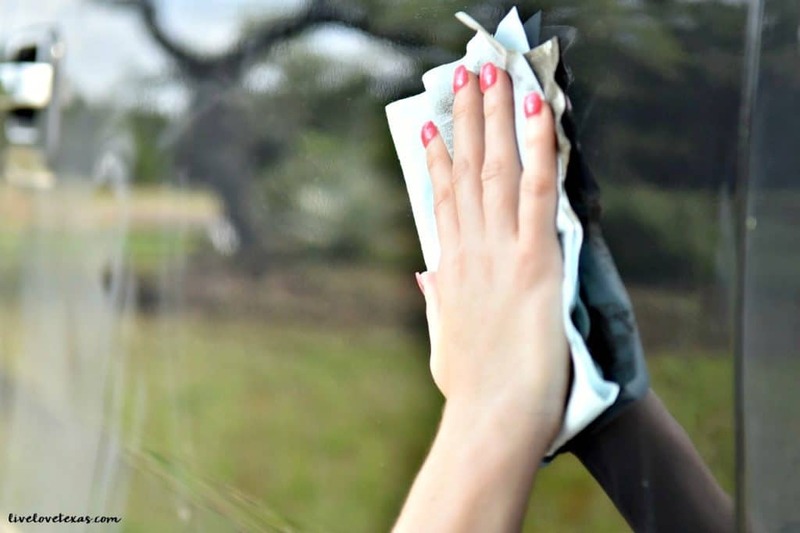 Even if the rest of your car is clean, if the floorboards are filled with dirt it won’t feel like a clean car so you don’t want to miss this step.